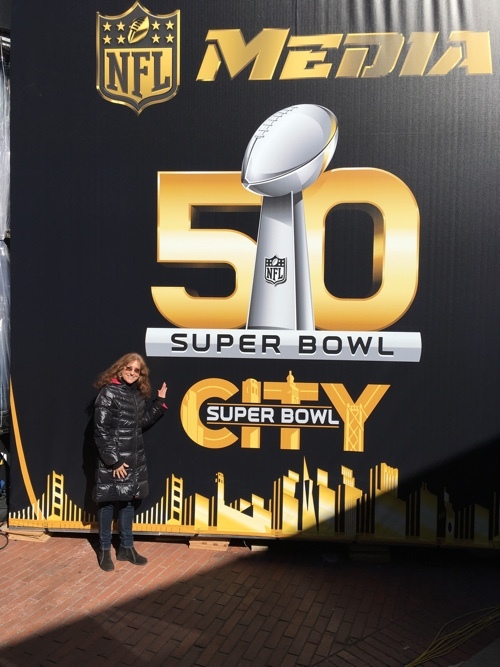 If you’re lucky enough to get tickets to Super Bowl 50, you’re in for a treat. The state-of-the-art Levi’s Stadium seats approximately 68,500 and includes 165 luxury suites and 8,500 club seats. It also features massive hi-def video screens, 2000 Sony TVs and WiFi boxes under every 100 seats – it is Silicon Valley after all! Download your Levi’s Stadium mobile app for instant replays. And for foodies, take your pick from gourmet to BBQ to Vegan – did you know that the venue is the most vegan-friendly stadium in the sports industry? Six-time Grammy winner Lady Gaga will sing the National Anthem before the game. And Grammy-award winning superstars Beyonce and British pop-rock band Coldplay will headline the Pepsi Super Bowl Halftime Show – in addition to performances by Bruno Mars and other special guests. 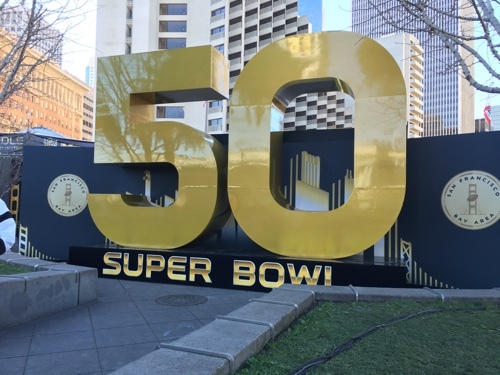 Join in the celebration of Super Bowl 50 at “Super Bowl City” fan village during the week leading up to Game Day. As leaders in technology and innovation, the Bay Area is showcasing interactive games, virtual reality, fun family activities, a variety of international food concessions, wine and beer, live entertainment during the day and special concert performances at night (see concert info below). Admission is Free. 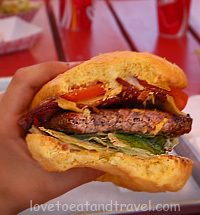 Food Tip: Food can be a bit on the pricey side, so if you’re looking for a great deal and you like hamburgers, walk across to the Ferry Building Marketplace and eat at Gott’s Roadside. They have really good (and reasonably priced) burgers, fries, onion rings and shakes! And if it’s sunny, you can enjoy eating outside and watch the world go by. You may have to wait in line (it’s very popular) but it’s so worth it! The fan village is located at Justin Herman Plaza, across from the Ferry Building on the Embarcadero. Note: Market Street from Beale Street to Justin Herman Plaza will be closed to traffic, in addition to street closures in that area of the city. Over one million people are expected to attend, so be prepared for crowds. If you’re traveling into San Francisco from other parts of the Bay Area or further, you may want to consider taking Caltrans, BART, Uber or Lyft. Parking can be challenging at the best of times. 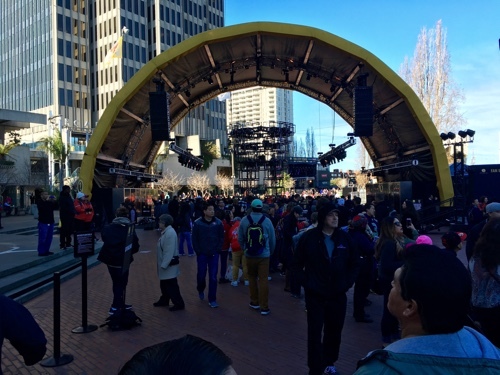 Note: All concerts take place at the City Stage of Super Bowl City. Shows begin at approximately 7pm (Chris Isaak concert start time at approximately 7:30pm or after Fireworks show). Arrive early to get a good spot. 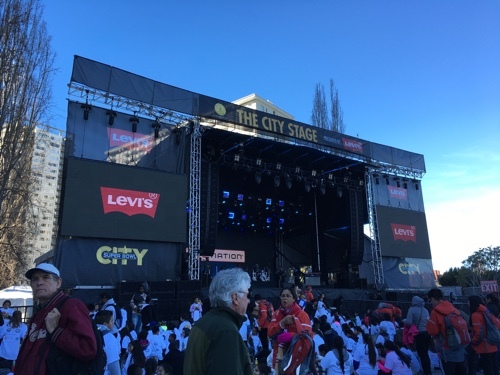 The Fan Stage (located within Super Bowl City) features live entertainment and special events all day (11am-9pm) in the week leading up to the Super Bowl. Tip: If you don’t already have an account with Uber or Lyft, be sure to sign up for one and download the software before you arrive in the Bay Area. They are very popular in the Bay area and will be in high demand during Super Bowl week. Note: Be aware of “surge pricing” the closer it gets to Super Bowl. Allow plenty of time to go through security – lines may be long depending on time of day. 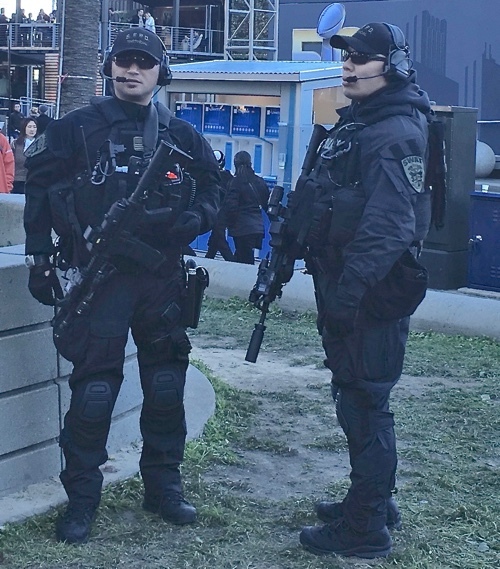 We’ve never seen so many police (or guns) in San Francisco before! In addition to the “free” fan village at Justin Herman Plaza, the NFL is showcasing another fun week-long “paid” event, the “NFL Experience” across town at Moscone Center (North and South Buildings). The interactive NFL theme park offers interactive games, youth football clinics, NFL Shop merchandise, free autographs from NFL players, a virtual reality experience, Super Bowl rings display… and fun attractions. NFL Experience runs from Saturday, January 30 to Super Bowl Sunday, February 7, 2016. Special discounts for Family Packs, Military, Group and Senior Citizens. Shop for Fun Super Bowl Team Gear – and have fun watching the Super Bowl. Are you a Denver Broncos or Carolina Panthers fan? We hope the team you are rooting for wins! We’ve been based here in the San Francisco Bay Area for the last 20+ years, helping people find fun things to do and the best tours. 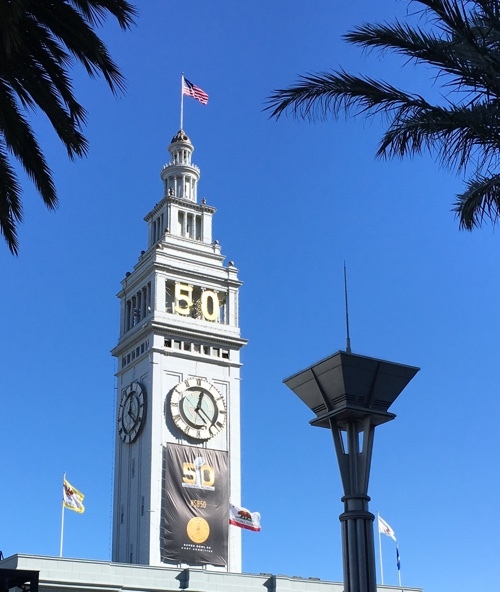 If you have extra time during your visit to the Bay Area, don’t miss an opportunity to see some of our top attractions without needing a car to get there.